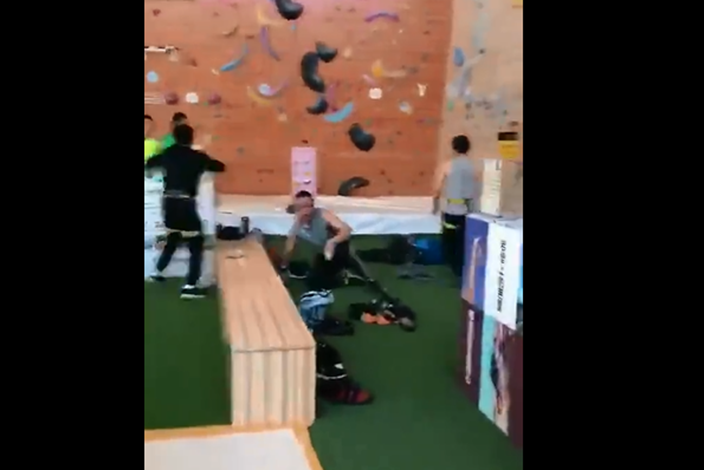 A rare accident happened in a commercial centre in Yiwu, Zhejiang, China when a man was climbing on the artificial wall in the gym without doing any safety measures. 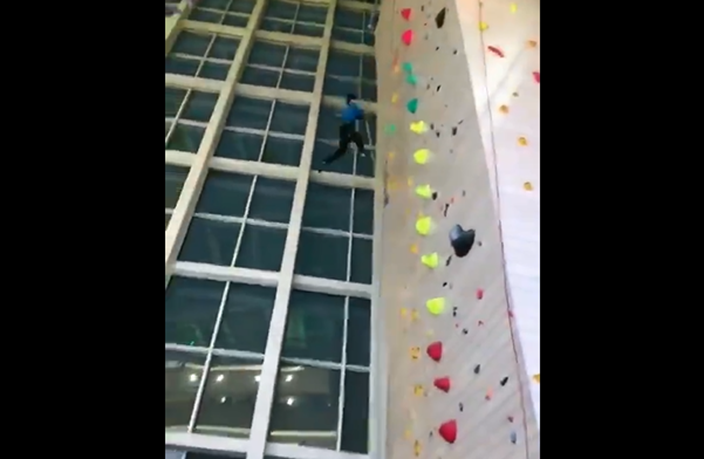 He accidentally fell to the ground from the top of the wall and the process has been captured. 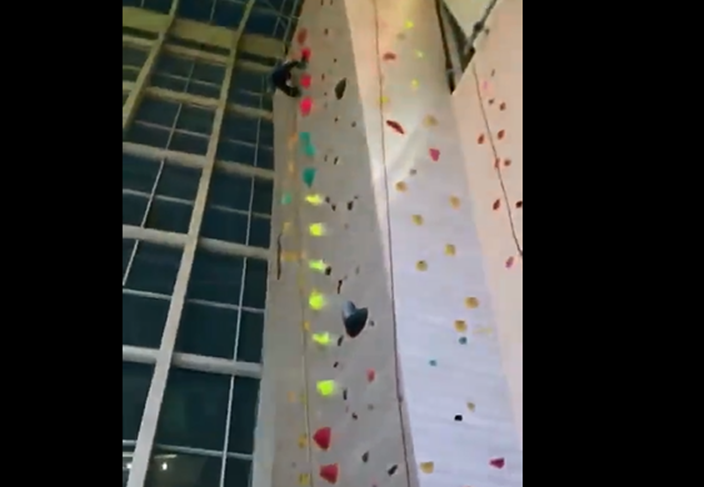 The video shows the man in blue falls down from the 4-story tall rock climbing wall and slightly hits another man on the ground. 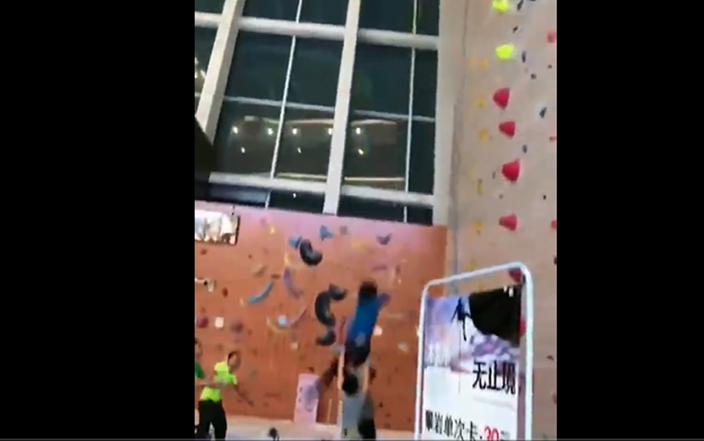 The accident happened at dinnertime and many people witnessed the incident. 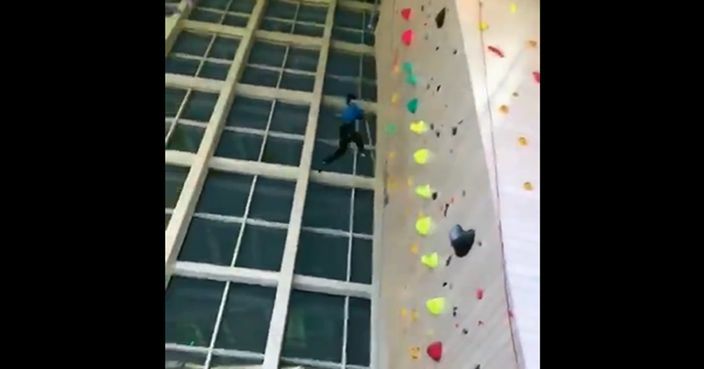 The representative of the centre said one of their staff ascended the wall at about 6 pm without attaching any climbing equipment, which caused the accident. The injured employee was hospitalized and in stable condition. The venue has now been forced to shut down.